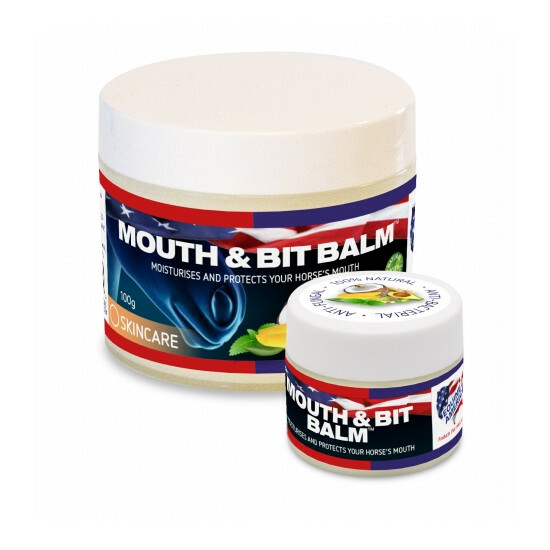 Equine America Bit & Mouth Balm helps to moisturise and protect dry areas of the horse's mouth, which is usually in the corners or along the underside of the bit. It has been specially formulated with a complex blend of natural ingredients to provide acceptance and comfort of the bit, producing a happier, more responsive horse. There are currently no questions for Equine America Bit & Mouth Balm for Horses - be the first to ask one!